What is Web analytics tutorial? How it is useful to the audience? 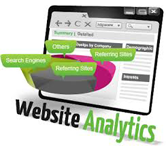 Web Analytics is a technique that measures the website data. It also helps in analysing, reporting and measuring the data. It is normally carried out to analyze the performance of a website and optimize its web usage. Web Analytics is an absolute technique for all those people who run their business online. This is a comprehensive tutorial that covers all the basics of web analytics. This tutorial is specially designed for SEO professionals and also for the beginners who are eager to learn the basics of Web Analytics and its techniques. Before going into this tutorial, it is mandatory that you have a basic understanding of developing professional websites and how to attract web traffic.